There’s only 13 days to go until “A Magical Frontier” departs! 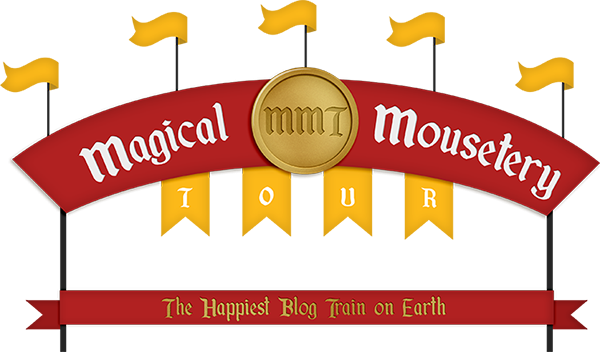 Today we are revealing the 5th contributor to the September Magical Mousetery Tour – Fran of FranB Designs.So sit back and relax as we get to know Fran and her designs a little better – plus read to the end to see her amazing sneak peek and to pick up a coupon for her store! My name is Fran and I live in Indiana with my husband and son, who is 13. We’ve traveled to Disney about 12 times since he’s been born. I love designing and creating new things and playing with color. I have been selling my designs since November 2011. I currently sell at Scraps N Pieces and My Memories. Q.What inspires your designs most? I love bright, bold colors. I will often have a color idea in my head, and then start googling. If I know I want teal and pink, I will google “color palette pink teal” and see what shows up. Sometimes I combine swatches or images with great colors, other times, I can find the perfect palette! When my son was 19 months old, we went to Crystal Palace. He was wearing a Pooh outfit (coincidentally). When Pooh & gang did their parade around the restaurant, Pooh kidnapped my son and said he was now his kid. I told him he probably couldn’t afford to feed my son on his Hunny salary, so he gave him back. Q. Does your love of Disney show through in your designs? I think so. A few months ago, one of my CT members said I had snuck a lot more Disney in my kits than she thought. Early Bird or Night Owl? Night owl – hoot! Solids or Patterned Paper? Patterned. Skirts or Jeans? Yoga pants ha! Fab 5 or Princesses? Fab 5.